Jenny has always enjoyed anything creative and is drawn to all things sparkly! With a background in art, craft and design and a love of baking, Jenny decided to turn her passions into a business. 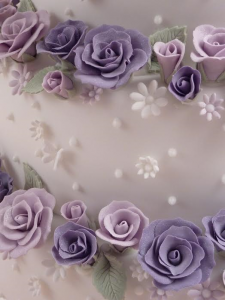 Established in 2007, Cakes Blooms & Bling is a successful business specialising in providing cakes & flowers, for weddings, birthdays and other special occasions. Jenny’s high standards and attention to detail ensure client satisfaction at every level. Whether your style is traditional, elegant, contemporary or fun and funky, Jenny will ensure that your cakes & flowers are perfect for you.